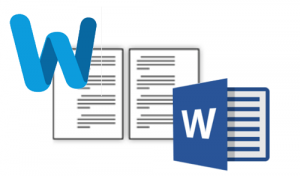 At a default, MS word thinks of its margins as left and right — and then they will be the same on every page. 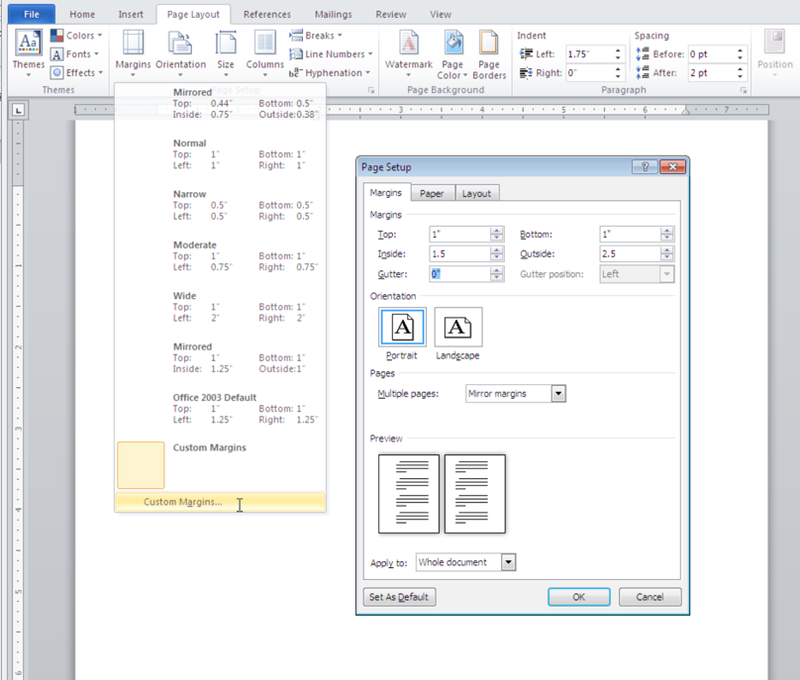 But if you change the “Multiple pages” setting to “Mirror Margins,” then this will change to instead be inside and outside. With this setting, the inside margin is the side of the page nearest the spine of the book. On odd-numbered pages, the inside is on the left, and on even-numbered pages, the inside is on the right. Choose “Custom Margins” at the very bottom of the list. On the “Page Setup” dialog box that comes up, click on the “Margins” tab. 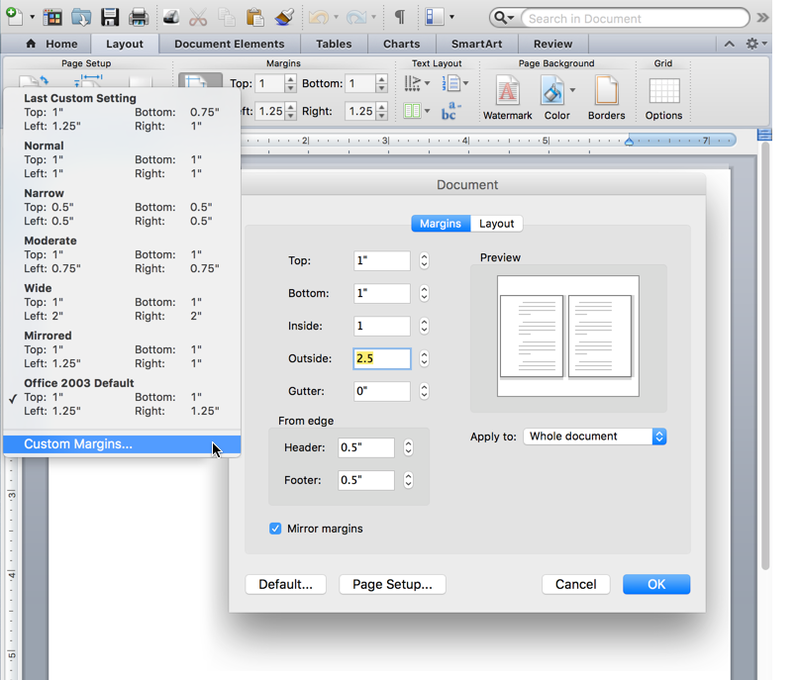 Choose “Mirror Margins” in the Multiple Pages field (near the middle of the window). On the “Document” dialog box that comes up, click on the Margins tab. Check the “Mirror margins” checkbox near the bottom of the window.